The joint initiative between the NHL and the NHLPA returns for its 16th season. NEW YORK / TORONTO (October 20, 2014) – Fans are asked to help the hockey family fight cancer as part of the National Hockey League Players’ Association (NHLPA), and the National Hockey League’s (NHL®) annual Hockey Fights Cancer™ initiative, taking place from Oct. 20 – Nov. 17, 2014. Since its inception in 1998, the joint charitable initiative has been dedicated to raising awareness for national and local organizations involved in cancer care and research. Together, the NHLPA and NHL will distribute more than $200,000 in grants to national and local cancer organizations in all 30 NHL markets. 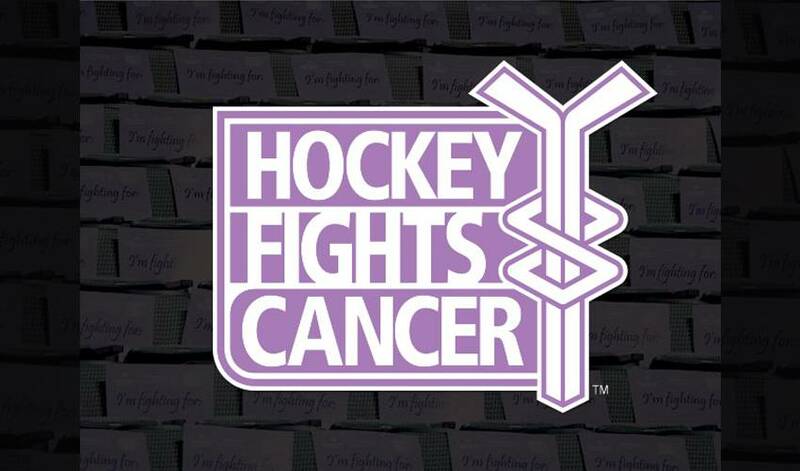 Hockey Fights Cancer has partnered with five cancer organizations to help fund and raise awareness about new and existing cancer-fighting programs. Hockey Fights Cancer will donate to Movember which has earmarked its grant to fund its men’s health initiatives, specifically in the areas of prostate and testicular cancer and mental health. The Leukemia & Lymphoma Society will use its donation to help fund an LLS portfolio of pediatric and young adult blood cancer research grants. A grant to Prostate Cancer Canada will be used to help fund its PCC Rising Star in Prostate Cancer Research program, which provides salary and research support for outstanding research scientists initiating careers as independent investigators in prostate cancer research. ZERO – The End of Prostate Cancer will use its donation to provide free mobile testing in select markets. Pancreatic Cancer Action Network will allocate its donation to its Community for Progress mentorship and professional development program, which fosters collaborations among scientists and future scientific leaders to strengthen the pancreatic cancer research community. In addition, Hockey Fights Cancer will distribute $5,000 to each NHL Club to support local cancer organizations in their respective markets.